From 2Q18, PC panel demand rose because product specifications were upgraded, it was the time for Back to School shopping and for stocking-up wave of new model. 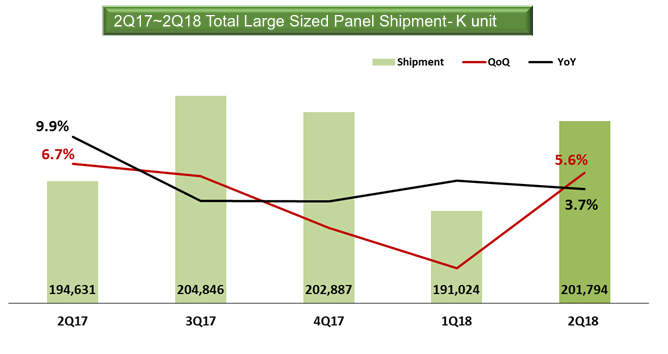 For TV panel demand, because panel makers offered special deal prices, demand of TV panel could not help but rise in 2Q18. Speaking of 4 major application categories, their demand in 2Q18 significantly increase. This factor helped escalate the large-sized panel shipment to 201.79 million units, up 5.6% QoQ and up 3.7% YoY.